you book the venue extra early, there are only so many Saturdays in the summer months and they get booked up faster than you would believe. You don’t have to spend a bomb to feed your guests, there are an uncountable number of options for you ranging from a sit down 5 course dinner to a Summer BBQ, all you need to do is chose one that fits right for you and your guests and remains within your budget. For you ladies the dress is always a big part of your big day so make sure you find one that is perfect for you and the type of wedding that you are planning. If budget is a main factor for you, you could consider rental. You don’t need to trawl through pages upon pages of Google results to find the suppliers for you. Simply ask around for recommendations from family, work colleagues and friends. Once you have one supplier secured and you are happy with them you could ask for their recommendations or experience of working with other companies. Your photographer might know a fantastic baker for your wedding cake – or your DJ may be able to point you in the right direction of the best caterers. Remember suppliers work with other suppliers on a daily basis so should be able to give you some solid unbiased recommendations. Attend Wedding Fayres – but don’t overdo it! Don’t visit so many that you’re on wedding overload and couldn’t stand the sight of another chair cover but just enough to give you some firm ideas of how you want your big day to pan out. You don’t need to drag your fiancé to every single wedding fayre in the country! 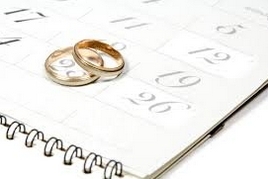 You should be able to pick up some key points and ideas that you and your fiancé would like to incorporate in your own day and equally pick up on things that you want to avoid. 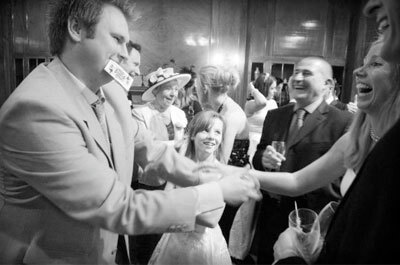 Weddings are always a tricky event to maintain control of and ensure that everyone remains part of the large group. One way to overcome this is to have games, quizzes and interactive parts of the dinner to stop people becoming isolated or forming their own small separate groups. Do not trust someone’s word over the phone or pay an unbelievably cheap company in china to deliver your chair covers by PayPal! One top tip I have discovered when using PayPal Is never pay someone using the gift option on PayPal as it is extremely difficult to dispute or open a case against them if something goes wrong. You get what you pay for, if you think it’s too good to be true it probably is! 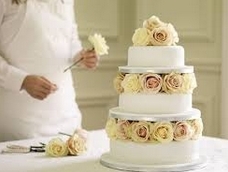 It is important that you have every element of your special day booked with reputable companies and contracts drawn up to make sure you have nothing to worry about when the day comes round. Most importantly: smile, laugh and thoroughly enjoy every second of your special day. Remember it’s the first day of the rest of your lives, make it count!